Lowest price per sf in n'hood! 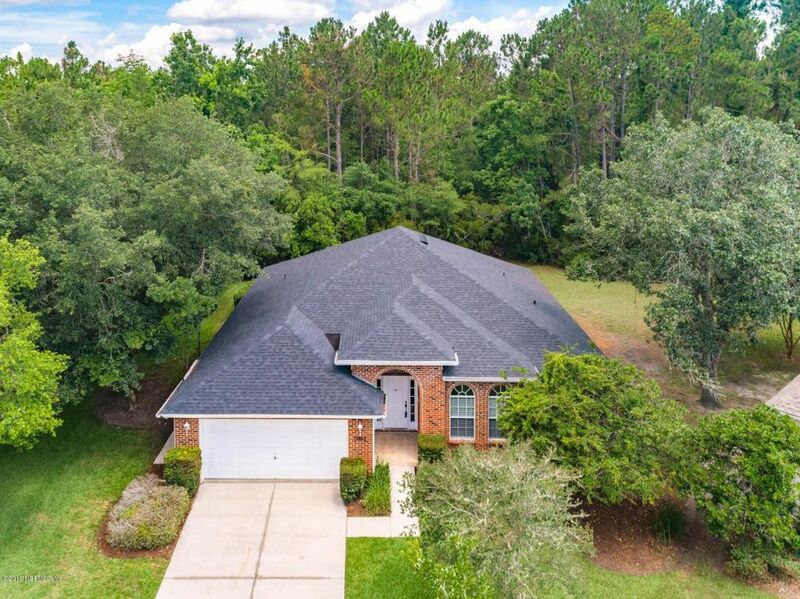 Come check out this brick beauty on nice wooded lot! The family room is huge w/ electric fireplace & built in area for your modern electronics & TV. The kitchen is open to the breakfast nook & formal dining area. Wait until you see the cool utility room w/sink right off the kitchen, very convenient for the functional family on the go! Master bedroom has large walk-in closet & en suite bathroom w/jetted tub & separate shower, vanity w/his & hers sinks. This was the formal model home so garage has addtl insulation, sep meter for sprinkler sys, sec sys, termite bond, 2-10 $540 HOW; screened porch;roof-2017, HVAC-2018. Also just a hop, skip and a jump to the community pool! New carpet & fresh paint throughout! You are on your own cul de sac with one other house. So away from the main road traffic! Seller was going to put pool in so there is definitely room for one! Don't miss this one - priced to sell! Directions: From Atlantic Blvd, head south on San Pablo Blvd, just passed Alimacani Elementary School, turn left onto Ibis Point Blvd, 2nd house on the left.